In the 1940s and 1950s, Knoll Furniture became symbolic of the modern design movement. 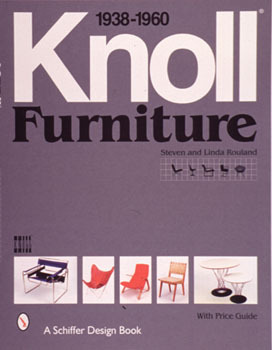 This book catalogs furniture produced by the Knoll Furniture Company of New York during its first two exciting decades. Over 270 illustrations present forms by such influential designers as Eero Saarinen, Harry Bertoia, Isamu Noguchi, George Nakashima, Jens Risom, Ralph Rapson, and others. An easy-to-use identification guide includes production dates and designer attribution. Original catalog photographs and many from the Knoll Museum Archive, a company history, designer biographies, and a price guide are included. This book is an essential reference for all who are interested in modern furniture design.